Planning a for great party requires attention to detail. Certainly, Johnnie Walker knows how to have the best party. The famous whiskey brand offers their loyal customers custom barware as their on pack promotion. 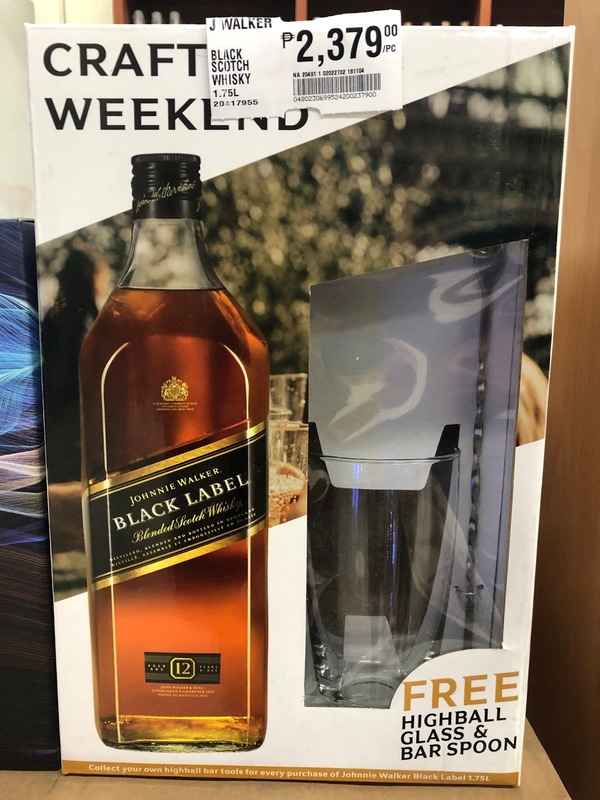 This isn't the usual tall and slender highball glasses, Johnnie Walker offers something that is in between a highball glass and whiskey glass. It's a really good move since they would like to offering their customers something that is not common. Also, this unique promo gift is perfect for your whiskey. The bar spoon is also exceptional because it is made from high - quality stainless steel. Therefore, the item is non - corrosive and would last for quite a while. The structure of this free custom barware is quite remarkable as it can somehow speak for itself, although not literally. Johnnie Walker's move to create personalised promotional glassware and pairing it with something exquisite sends a good impression to their customers. The design screams exclusivity which is pretty great for the brand. Practicality - Making a marketing giveaway that complements the product is paramount for the marketing's success. Therefore, both the whiskey glass gift and bar spoon are great marketing gifts because they both are useful to the main product itself. Brand Loyalty - Well, whenever people receive something from the brand, they feel that they are being valued. Thus, they will appreciate the brand more. In this case, Johnnie Walker is not just giving one gift, but two amazing custom barware. Obviously, as cliche as it may sound, "two is always better than one"
Stimulate Sales - And when customers are valued and appreciate your brand, of course, sales and profitability follows. The custom barware improves the ability of Johnie Walker to get more consumers to check out and purchase their products. It may be among the simplest promotional ideas available, yet it has helped big brands sell their merchandise. If you are interested to know more alcohol or liquor promotion, contact ODM to know more. Our team is always ready to take your marketing and manufacturing queries.